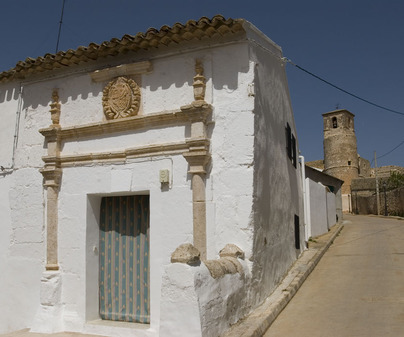 Near the source of the Rus River and 68 km from the provincial capital, we find the lovely Conquense town of Castillo de Garcimuñoz, a town intimately connected to literature, since here Jorge Manrique was mortally wounded. Additionally, in this same place the Infante Don Juan Manuel wrote El Conde Luncanor. It offers visitors various places of interest, among which we will highlight its urban areas and its Gothic House. In this town, categorized as an Asset of Cultural Interest, a necessary visit must be made to its urban complex. If we wander the streets around its castle, we will see the simple beauty of the typical Manchegan houses, some of which preserve caves inside that serve as storage. In their facades some also preserve family crests, and they are on display to foreigners, proud of the noble genes of this town. Our tour must include a stop in the Jewish and Muslim neighborhoods, faithful reflections of how these communities lived. The other treasure of this town is its Gothic House, from the 14th century, with two floors and interior patio with arches. It shows the architectural style that it carries in its name and is in a good state of conservation. Free access to the urban areas. For the Gothic House, inquire at the City Hall. 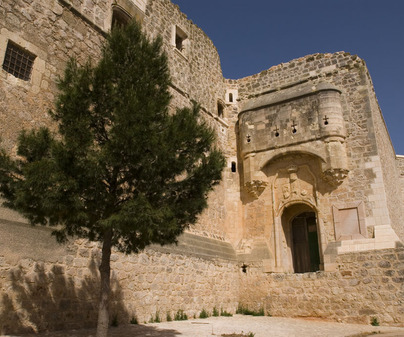 Its castle, the parish church of Saint John the Baptist, the monastery of Saint Augustine (now private property), and the cross of Jorge Manrique, the place where the poet died. These give testimony to the precious history that the tourist must immerse himself in.